For todays meme I’m checking in with Sheila over at Book Journey. 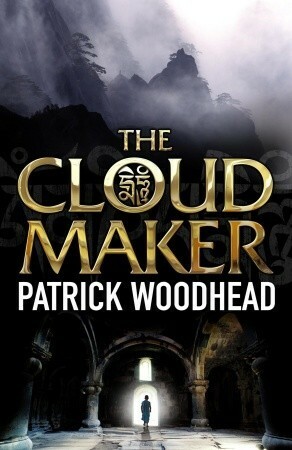 I finished The House at Riverton by Kate Morton on audio and have started The Cloud Maker by Patrick Woodhead on audio. This are all library books, audio included so will help meet my goal of library books to read this year. To Luca Matthews the dangers of the high mountain peaks are the air upon which he thrives. In the ruthless pursuit of his goals he would sacrifice anything – even another climber’s life. His friends and family know and fear it. So when he sights a virgin peak in the Himalayas that exists on no map, no one is surprised when he becomes obsessed with being the first to scale it. Together with his climbing partner, Bill Taylor, they set off into a region of Tibet highly restricted by the Chinese. But a freak accident puts one of their team in mortal danger and it is left to a local Tibetan girl to lead them to Geltang, a monastery that has been hidden from the outside world since the Chinese Cultural Revolution, when most of the monasteries were pillaged and burned. Soon, as the Chinese secret police get wind of them, Luca and Bill find themselves embroiled in an age-old struggle, not for their lives but to protect the precious secret that Geltang hides and the legacy of Tibet itself. 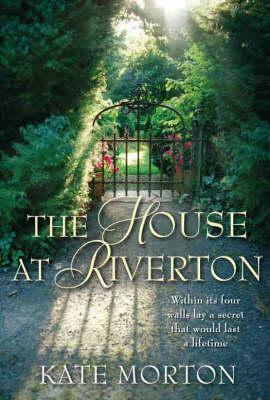 As I was saying I finished The House at Riverton by Kate Morton on audio and these are my thoughts. The House at Riverton tells the story of the Hartford’s, the sisters Hannah and Emmeline specifically through the eyes of Grace their housemaid and later lady’s maid. The story is told through the memories of Grace. Memories that are called to mind all the more with the recent movie being made. The story flicks between Grace in the present winter of 1999 and her memories of the events leading up to 1924. I have to say I enjoyed so much more when we were back in the early 1900’s and into the roaring 1920’s and I think Kate Morton did a great job of capturing that time and era. I liked the characters, some more than others. The character of Grace I loved and I’ll explain why in a moment but first I must talk about what irked me and there were a few irksome points. I found we got so much information before the event that I’m not sure it was all totally necessary. I felt we could have gotten a handle on Grace’s character and her devotion to the family and in particular Hannah in far less chapters. When I look at the break down of the story the first ¾ of the book was given over to the lead up and only in the last ¼ of the story do see the actual events that lead to the death of Robbie Hunter. I also found it a stretch to say this was a mystery. A doomed love story yes and I loved that Hannah finally fell in love with Robbie but a mystery, no for me it wasn’t. The story in that sense was easy to figure out. What I can’t figure out is why we were offered so many tantalising views of Grace’s life after the event and that was not explored. I think Grace and her life were far more interesting. I think the events made Grace into the woman who was not afraid to train to be an archaeologist and even in post war Britain to become a single parent. The part I especially liked was hearing how she and Alfred met again. In whole I felt Ms Morton should have perhaps taken the idea she had for this story and just turn it on its axis a degree or two and begin the story with the events of 1924 and tell us about Grace and her life. This entry was posted in Books, What am I reading and tagged Kate Morton, Martin Langfield, Patrick Woodhead, The Cloud Maker, The House at Riverton: A Novel, The Malice Box. Bookmark the permalink. 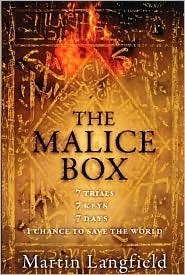 I haven’t heard of The Malice Box, but it looks really exciting. Kind of reminds me of The Da Vinci Code a bit – which I enjoyed, so I might have to check this one out! Hope you enjoy this weeks reads! What do you think of the Malice Box so far? I love that cover! I am debating on whether or not to read the Kate book. My mum said her garden one was better. Yes I’ve heard that the Garden one is better, I might check that one out, this one was just ok to good.